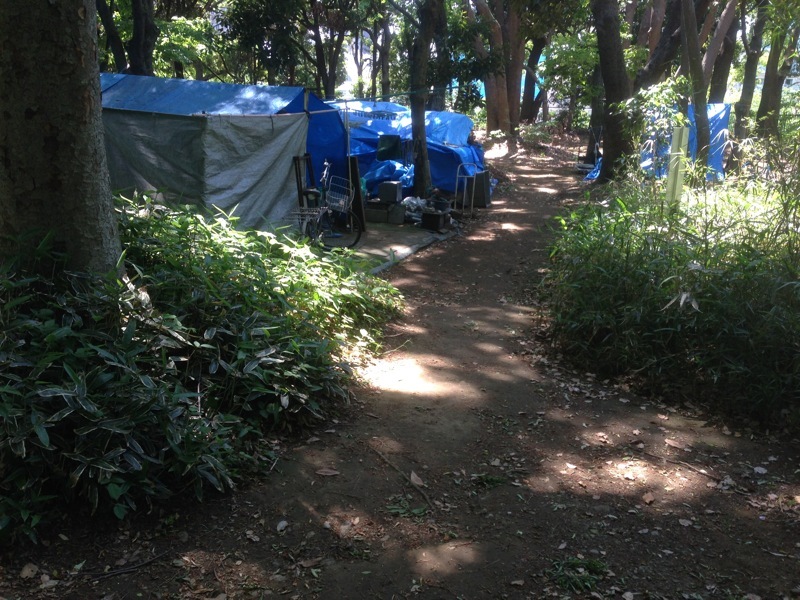 We went to Yoyogi Park and on our way in Marc pointed out this tent city set up for the homeless to live in the park. There were about 50 tents all together. Some had bikes. Some had a stove or a generator. Homeless in Tokyo are treated with more respect than they are in the US.